Marks counted in final merit list Not counted, but you’ve to pass the paper. Comprehension questions are based on the same precis paragraph They two provide different passages for precis and comprehension. Grammar not asked Grammar questions are asked e.g. fill in the blank, active-passive, direct-indirect voice, sentence correction. Vocabulary questions are based on the passage given for précis+comprehension. Vocabulary questions are ‘absolute’ (i.e. not asked from the passage), they just give you a term and you’ve to write its synonym/antonym. Attempt any one of the following in about 250 words, 20 marks. Draft a brief investigative report as Assistant Manager, on your findings about the recent instances of conflict among your junior staff members, Recommend solutions. You have been asked to draft a proposal to sponsor a sports event for specially disabled children on Republic Day, Draw up the proposal. Offer financial advice to a party that has come in to explore investment avenues. Point out the benefits of investing in Mutual, Funds rather than Fixed Deposits. On behalf of the employees of your bank, draft a representation to the management asking for improvements in infrastructure for bettor work performance. Imagine yourself to be the Governor of the Reserve Bank. What measures would you adopt in the present financial crisis? A car manufacturer has appointed a committee to investigate the feasibility of setting up a car manufacturing plant in India. As the Chairperson of the committee, draft your report with recommendations. As the General Manager of a company, draft a circular to all employees about austerity measures to be adopted, in order to tide over the recession. Draft an investigative report on a fire that broke out in the accounts department last week. Suggest safeguards to handle such accidents in the future. Make a proposal on behalf of the employees to the General Manager of the R. B. I. on the need for some Yoga and Stress Management Programmes for the officers, twice a year to increase their efficiency. You are the H. R. Manager. With Corporates supporting social causes it is suggested that the R.B.I. can organize a Math’s Quiz with cash awards for underprivileged children. As General Manager put your ideas forward to the Head Office. Indian households have savings of above 30%— one of the highest in the world. A Committee has been constituted to suggest various financial products where these savings can be invested with a view to protecting the principal from inflation and also to give positive and real returns. Draft the Committee Report. Commuting to office during peak hours has become an ordeal particularly in large cities. This is affecting the efficiency of the employees. As the HR Manager draft a proposal to be sent to RBI for introducing flexible working hours in the bank. Highlight the salient features of flexi-time and how it would enhance efficiency at workplace. RBI had issued a Notification directing commercial banks against lending more than 80% of the value of the property for loans above Rs. 20 lakhs. The President of the Association of Real Estate Developers of India has written to RBI stating that this move does not bode well for developers as it may lead to drop in home sales. On behalf of RBI write a suitable reply to be sent to the President of the Association. Impress upon the real estate developers that the notification is aimed at curbing speculation in the market and not at affecting home sales. 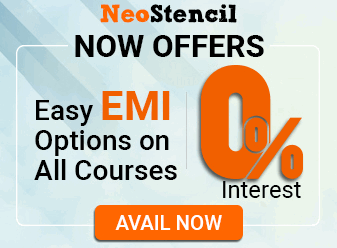 How to prepare for Letter / Memo / Report Writing? Read English newspaper on daily basis, particularly the economy section, letters to editor and columns to get additional ideas/fodder points. Write an argumentative essay of about 500 words on any one of the following. 40 marks. Has the virtual workplace become a reality? Laptops for notebooks, what next in schools? In the Light of the popularity of ODIs and 20 x 20s has Test Cricket a future? What’s wrong with the SEZ policy? What went wrong in Singur? The Role of Media in a Crisis. The Future of Peace in India. Can we host the Olympics? The 2008 recession was a myth in India. Can we leave the world a safer place for the next generation? Formal education is the only way to success in life? Business Schools more business than school? Do Growth and Inflation go together? Is Environment our Social Responsibility? Travel and Tourism is a booming business. Can technology bring about economic growth with social justice? Has the RBI succeeded in curbing inflation? Can we have a corruption-free sobriety? Has the economic balance of power tilted eastwards? Is social ‘net’ working a blessing or a curse? Fundamental principles remain same like UPSC Essay: spend the first few minutes on brainstorming the idea. Then rank those ideas, start writing essay: introduction >> body (+/- pros, cons) >> conclusion. 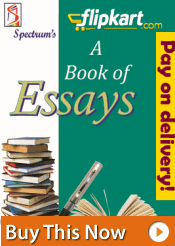 To write a decent essay, what you need is decent fodder points. After some months, you have good fodder points on almost every topic. Topicwise Huge list of essays, from previous UPSC, LIC etc exams. So you can practice them or atleast brainstorm for ideas about how to write them @home. IGNOU India democracy and Development zip file. This PDF set contains necessary fodder points to approach most of the social/democracy/Development etc. topics related essays. Comprehension questions (and vocabulary) for 16 marks. Previous RBI question papers for Mains English paper 1, are given in the appendix of this article. You’ll find the précis/comprehension questions in it. For additional practice, I’ve also included last 16 years UPSC Mains compulsory English papers. Because they too contains précis/comprehension questions. Other than that, Internet is full tips on précis, of just a google search away. RBI asks vocabulary questions directly from the passage meant for comprehension. Just like SBIPO. And Unlike UPSC Mains English or SSC CGL. Read daily English newspaper, and whenever you come across any difficult word, note it down in a diary. Once you’ve a list of 10-15 words in your diary, open wordweb software, dig their meaning and note them down. Keep this habit, until you stop giving competitive exams. It’s not like RBI will lift questions from it, but with this exercise you’ll be able to accurately guestimate the meanings in the exam hall. sir ,I want to crack MCA entrance exam.please one set are uploading sir. sir,one set are uploading rbi bank/po exam with answer please. I think Civil services times ESSAY book is much better than spectrum essay book….!! It costs 400 rupees NOT 100…Plus if you look at the return on investment,i think it wont be a BAD option…upto you my friend..!! Can u please tell me how many months back should I study the current affairs question for RBI ASSISTANTS EXAM . Hii….m a cabin crew nw but i want to apply for staff selection commision this year…m graduated in science stream…plz guide me hw to proceed in this. sir, your article’s are really helpful in my prepration…thanks. thank u very much for this article, it was very helpfull. please post me the phase1 question papers for the grade b exam. Request you to please post Phase I RBI – Officer 2013 paper pattern. In the notification they have mentioned that it would be 3 hrs (Online Exam)duration for 200 marks. It would be very helpful if you send me / post here. In the last year no. of question where 200 and time alloted to solve them was 130 minutes. but according to rbi grade b advertisement total time is 3 hrs i.e 180…so where r the rest 50 mins..
i would like to make my english strong plz guide me how to make it. Can you please guide me how to prepare for RBI Grade B phase 2 papers? And what is the expected cut off this year for the same exam ? Not able to download this material kindly help. How to prepare for SSC CHL and what books to be followed? Thanks for valuable info and analysis. Please give some tips to write well “letter writing section” of rbi phase 2 english paper like making proposal, investigative/ committee report writing, letter of advice/ suggestion etc. What is the correct format?? and What not to write?? Please kindly suggest that keeping the time in hand, the word limit of 500 words are too less. Will it not be too less space to put forward your view points and how it will fetch marks in comparison to someone who has used more words than 500 may be up to 1000 words and have more elaborately expressed and explained about the topic. Can you please tell what should be the length of the report? As per the ignou material, reports can be short/ long, the long ones including a contents page, intro etc as well. I am assuming RBI expects a short report without all these extras. Pls confirm.